Kota Kinabalu is the charming capital city of Sabah which is part of East Malaysia. Distinct from Peninsular Malaysia which houses the capital city of Kuala Lumpur, East Malaysia has a completely different feel to it, and many people come here to take in a more rural side of the country, with lush jungles and towering peaks aplenty. 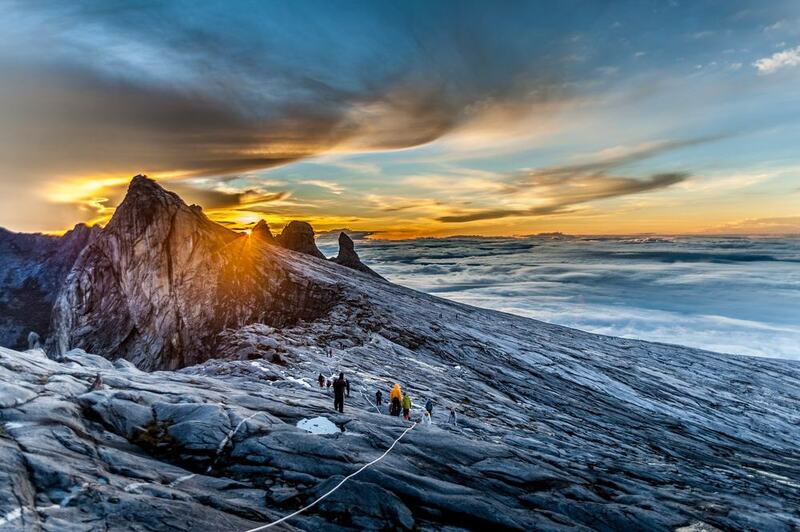 The main jewel in Sabah’s crown is Mount Kinabalu which stands just outside the capital city, and this is one of the main themes of a trip to Kota Kinabalu, as many of its main attractions lie out in the countryside, but are also possible to visit as part of a day trip. 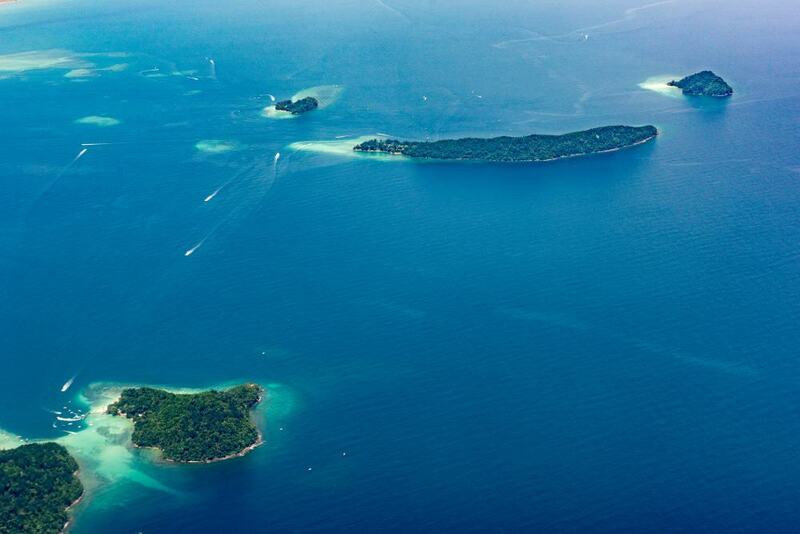 As a result, if you venture out of the city you can expect scenic train journeys, bubbling hot springs, and winding river cruises through mangrove swamps, or you can check out some of the best diving in the region just off the coast of Kota Kinabalu. If you are just in town as part of a flying visit however, then you definitely won’t be disappointed in Kota Kinabalu, as there is a huge amount to do in the city itself. Some of the highlights here include the craft markets and delicious seafood restaurants, as well as pretty lookout spots and museums. In short, whether you want to stay in the city center or explore further afield, there is plenty to keep you occupied whatever your itinerary. 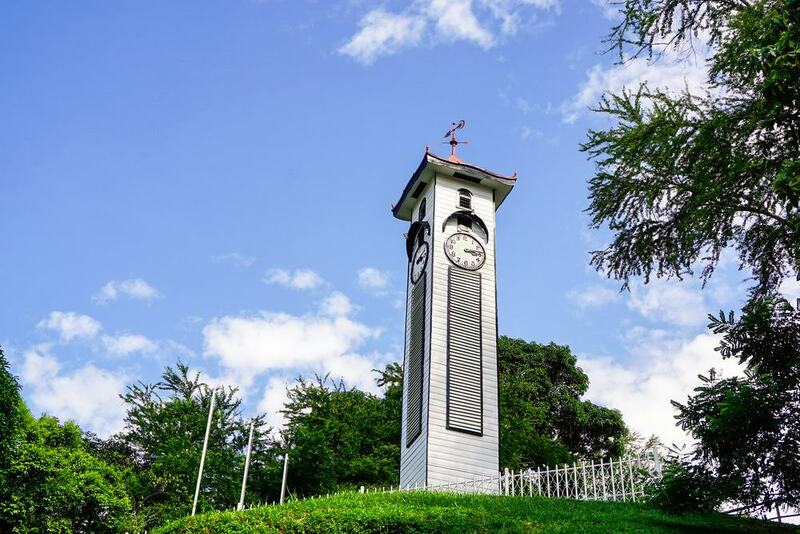 The Atkinson Clock Tower is one of the main landmarks of Kota Kinabalu and dates from 1902. The tower was built in honor of Francis George Atkinson who was the former District Officer in Jesselton, which was the name given to Kota Kinabalu during the colonial period. Atkinson died in 1902 following a bout of malaria and a heart attack when he was 28 years old, but the tower still stands in memory of his contribution to the founding of Kota Kinabalu. 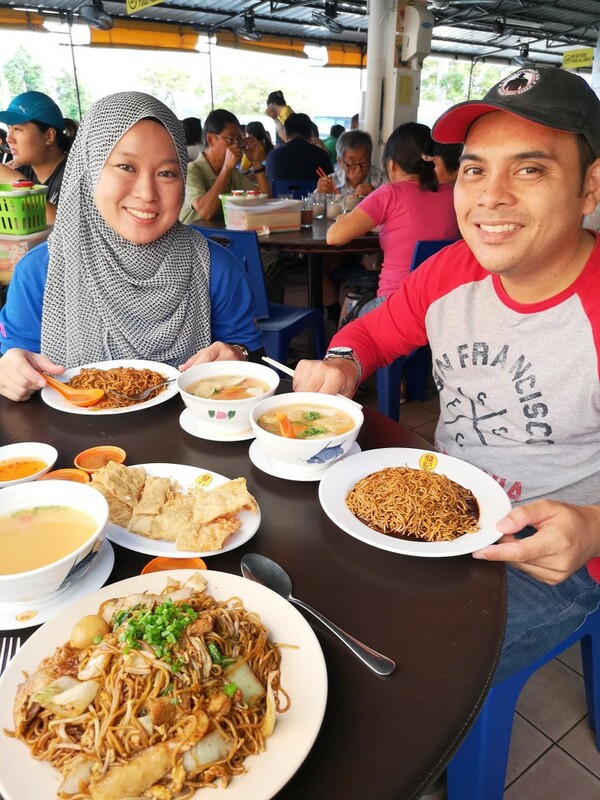 To get to the tower you need to walk up a scenic hill which is located off Jalan Tunku Abdul Rahman and which affords you views over the rest of the city. If you walk up the hill a little further from the tower then you will also get to the Signal Hill Observatory. The Klias River lies around an hour and a half outside Kota Kinabalu and bisects the larger Klias Wetland Mangrove Forest Reserve. If you come to the reserve, then one of the best things to do is take a trip on a cruise down the Klias River. From the vantage point of the water you will be able to take in a range of animals that come to the river to bathe and drink and some of these include elegant proboscis monkeys as well as darting fireflies that hover in the afternoon light. 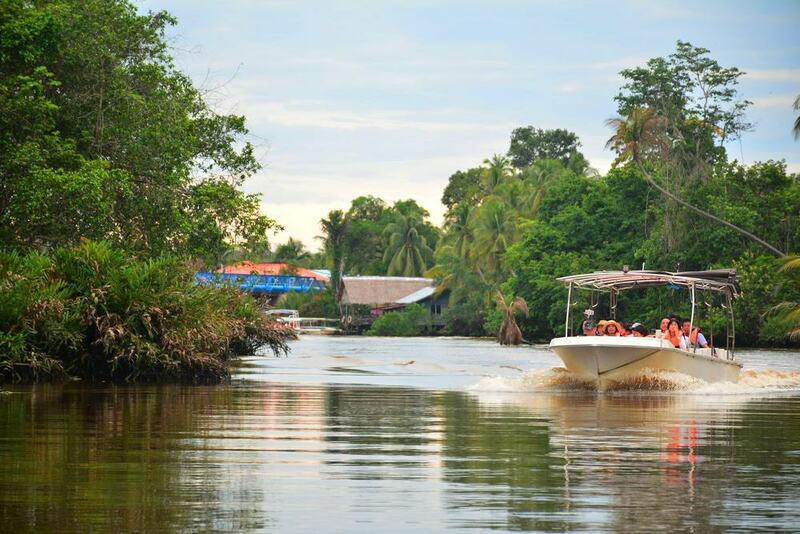 If you are not able to make it to the Klias River in Kuala Penyu then there are also river safari cruises available in neighboring Weston or Garama. Probably the most famous attraction in Sabah is Mount Kinabalu which is a sacred mountain located on the outskirts of the Kota Kinabalu. This mountain is part of the famous Crocker Mountain Range and stands at some 13,000 feet above sea level. The mountain has a diverse eco-system and this is the place to come if you want to see some of the gorgeous flora and fauna in Malaysia first hand. The mountain lies in the middle of the wider Kinabalu National Park which is a UNESCO World Heritage Site and the big draw here is the trek to the summit which will give you some amazing views over the rest of Sabah. There are several routes and treks you can take but you will need to sleep overnight on the mountain which means that you can catch the sunrise at dawn at the summit. The Green Connection Aquarium is a must-visit for any nature lovers who want to see a collection of some of the most colorful aquatic life in Sabah. 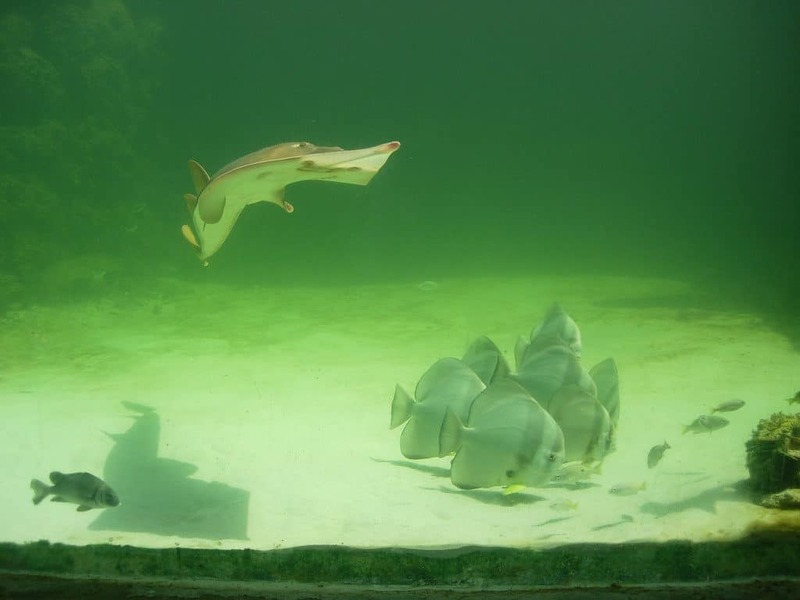 It is also a great place to come for anyone who is traveling with a family and there are a variety of interactive exhibits such as touch tanks where you can get up close with all manner of creatures like snakes or sharks. If you won’t have time to get out on the water proper in Sabah or do any diving or snorkeling then this is a good chance to see at least some of the marine life for which this region is famous. Kota Kinabalu Handicraft Market sits along the waterfront in Kota Kinabalu and used to be called Pasar Filipino, or the Filipino Market. As such, you may still hear it referred to by this name, but whatever the moniker, this is a great place to come for anyone who wants to pick up some local souvenirs. Just some of the items that you are likely to find here include pearls, local arts and crafts, wood carvings, and textiles. There are also typical souvenir items like t-shirts and accessories and bargaining is standard practice if you want to avoid over-paying. 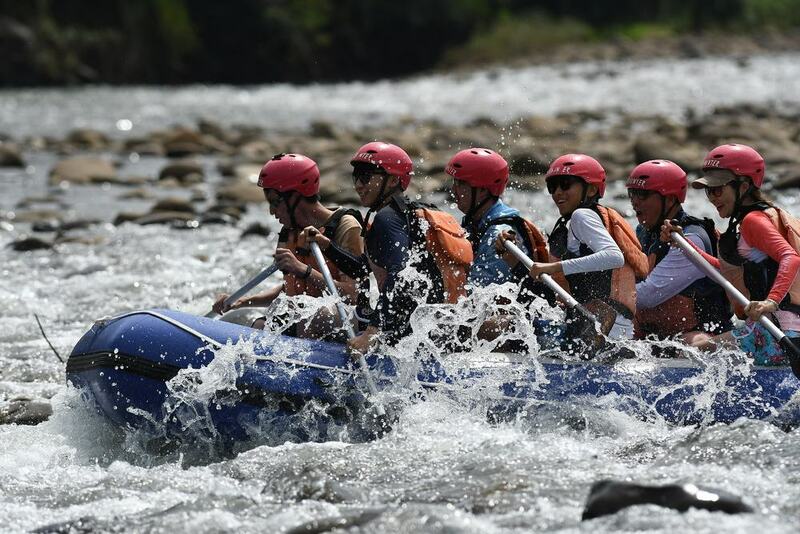 Some people may be surprised to hear that white water rafting is a popular pastime around Kota Kinabalu and there are a number of places to get out on the water if you want to get your adrenalin pumping. One of these is the picturesque Kiulu River in Tamparuli which is about an hour away from the city center, or you can choose the mighty Padas River outside Tenom which is a two hour drive away. The reason to come to Padas River and not the Kiulu River is for the Grade 3 and 4 rapids found here which guarantee a wilder ride if you don’t mind the slightly longer journey time. 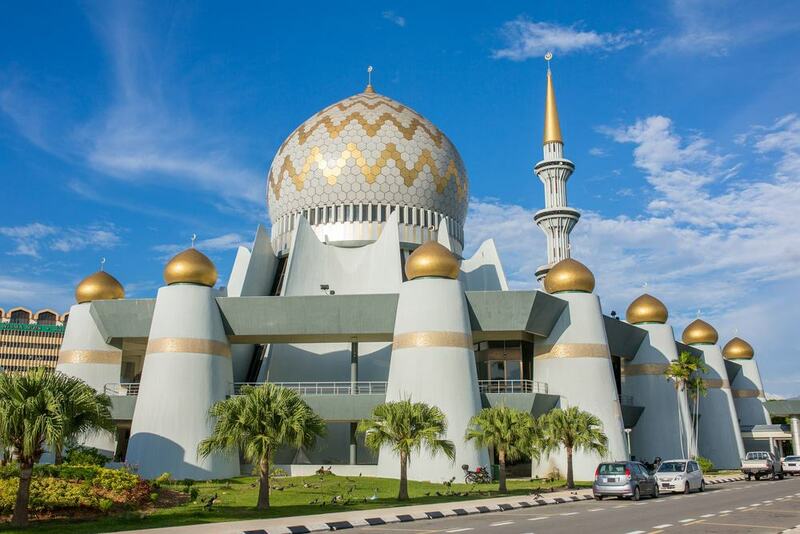 Kota Kinabalu City Mosque is the largest mosque in the city and is also said to be the most beautiful. The building is located on stilts above a shimmering lagoon which makes it look as if it is floating on the water and its size means that it can accommodate some 12,000 worshippers at one time. If possible, try to get a look at the mosque at night when it is illuminated and reflected in the inky waters that surround it. Should you visit in the daytime, you can enjoy the ornate blue and gold dome as well as the classic minarets and you can explore the inside of the mosque outside of prayer times as long as you dress respectfully. 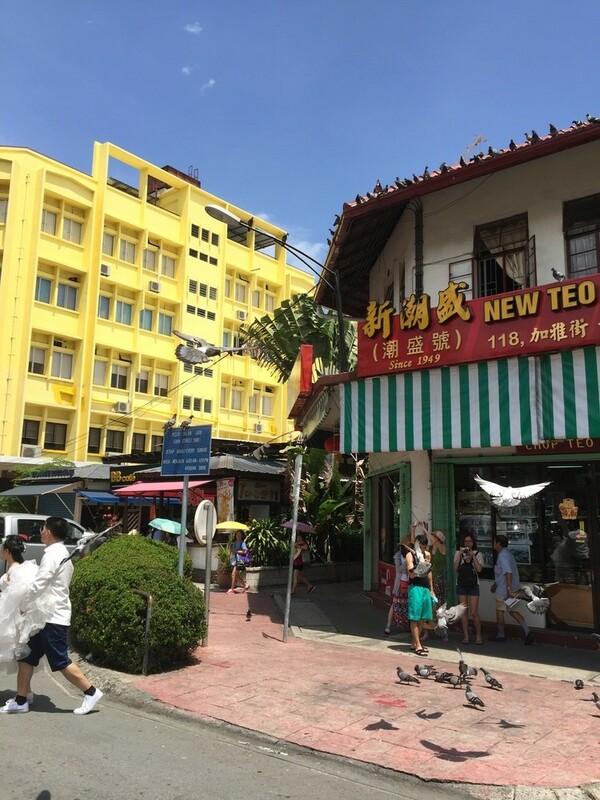 Chinatown is also popularly known as Gaya Street in the center of Kota Kinabalu and is one of the main arteries of the city. Many of the hostels and backpacker venues are located here and you will find a wide selection of Chinese coffee shops and restaurants. 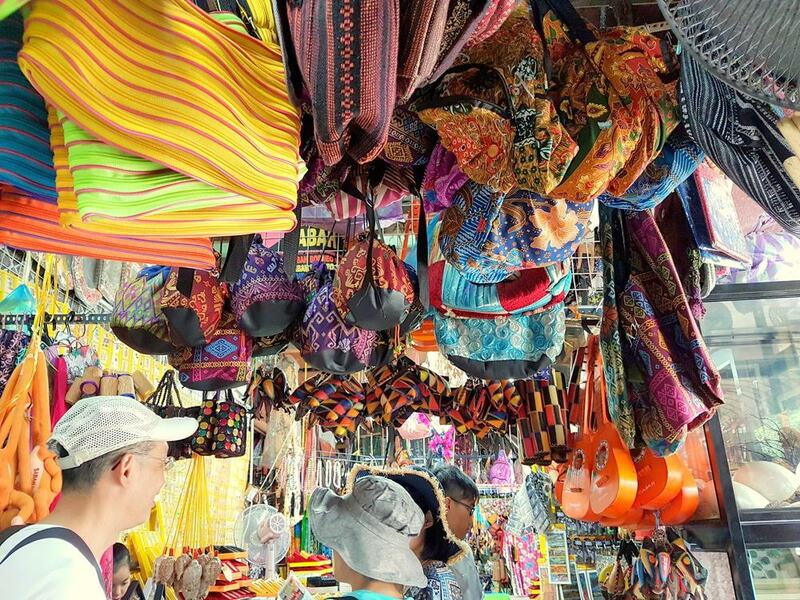 There is also a market held here every Sunday which is worth visiting if you are in town at the right time and sells as a range of good like clothes and souvenirs. The Borneo Railway only opened in 2011 having been closed for five years as it underwent an extensive upgrade. 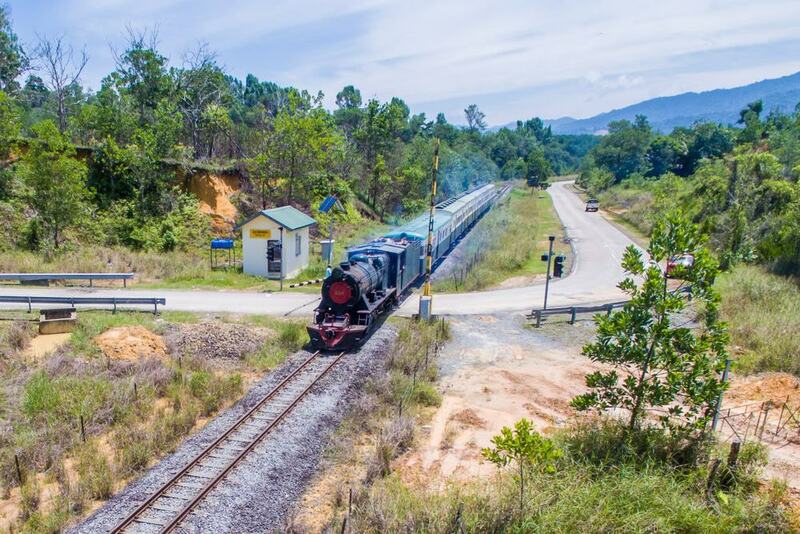 Nowadays however it is one of the top attractions in Kota Kinabalu and whatever you do make sure not to miss a trip on this famous railway. The original lines here would have been laid in 1896 when the railway was used to move tobacco all over Sabah and one of the best things about the train is that you can take it from Tanjung Aru to Tenom which transports you through leafy jungles and along the beautiful coastline of Sabah. Another good pick is to take the train to neighboring Beaufort which is a pretty market town that is well worth exploring in its own right. 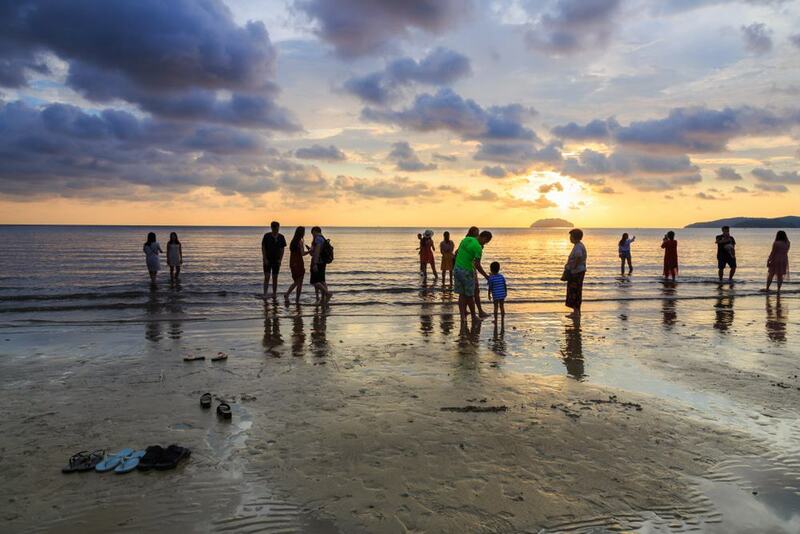 Tanjung Aru Beach is one of the best loved beaches in Kota Kinabalu and is especially popular at the weekends. You will find a long stretch of sand here that backs onto the water, although this is more of a place to come and relax rather than go swimming, as the visibility and cleanliness of the water is much better at the neighboring islands. Instead, come to Tanjung Aru Beach for a leisurely walk along the sand at sunset, or to get a drink at one of the bars that line the coast. You will also find a number of street food stalls here and this is a great place to try some local snacks. 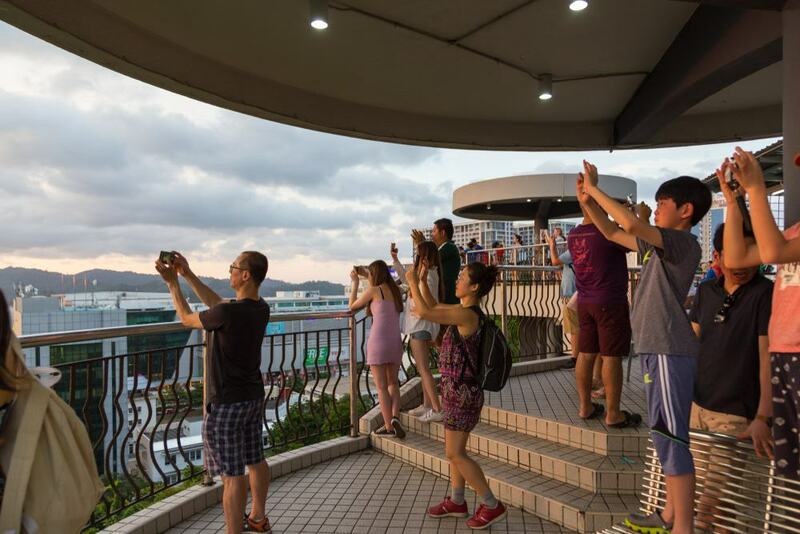 Nestled on a hillside close to Padang Merdeka in Kota Kinabalu is the Signal Hills Observatory Platform which is one of the most scenic spots in the city. The observatory also has the claim to fame of being the highest location in Kota Kinabalu and the main reason to make the trip here is to take in the gorgeous unbroken vistas across the region. On a clear day, you can look across to Tanjung Aru Beach as well as spot some of the islands that make up Tunku Abdul Rahman National Park. The State Mosque is not to be confused with Kota Kinabalu City Mosque which is a completely separate building. 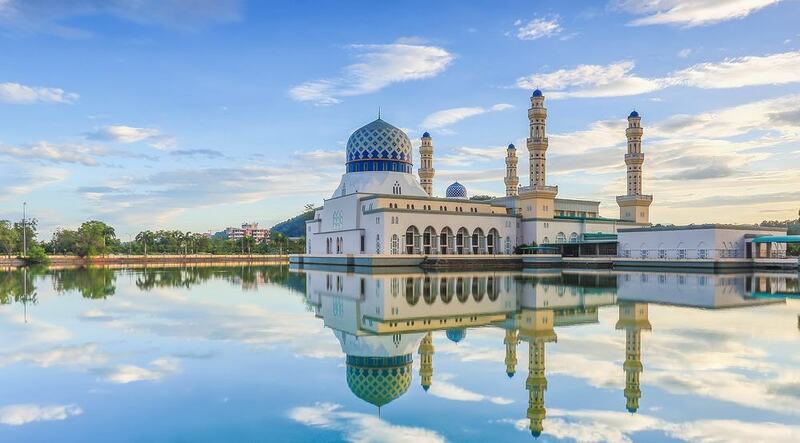 The mosque sits in the suburbs of Kota Kinabalu and is topped with an amazing minaret that soars to a height of 215 feet. Visitors flock here to enjoy the Islamic architecture and design features and the mosque is modeled on the main mosques in Mecca and Medina in Saudi Arabia. Non-Muslims can visit the mosque outside of main prayer times as long as they dress respectfully. 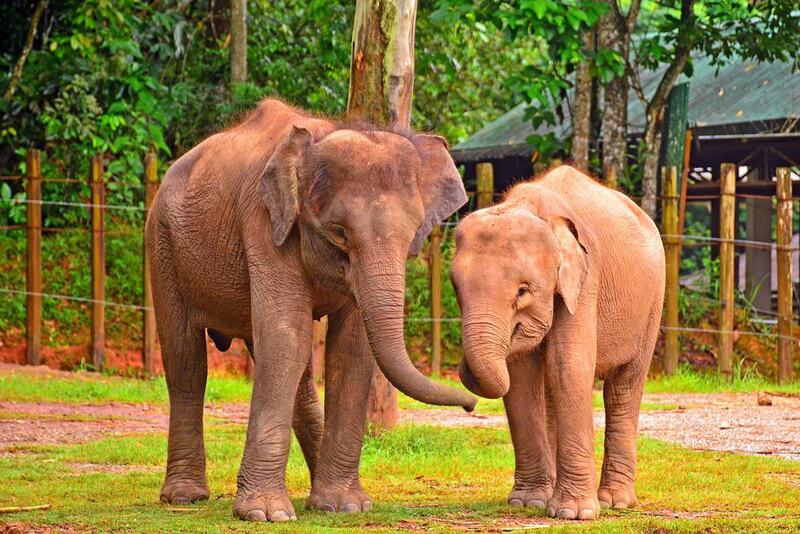 Just outside Kota Kinabalu is the town of Lok Kawi which is also the home of the Lok Kawi Wildlife Park. The park is a great place to come if you are only in town for a short time and can’t travel to the larger reserves further afield, and you will find animals such as tigers, deer, monkeys, gibbons, and orang utans here. There is also a reptile section and as this is one of the smaller wildlife parks you are likely to see many of the animals up close even on a brief visit. Tunku Abdul Rahman Marine Park is undoubtedly the jewel in the crown of Sabah and a visit to the islands is the reason that many people choose to travel here. The park is a selection of five islands which are just off the coast from Kota Kinabalu and include Sulug, Gaya, Manukan, Sapi, and Mamutik. As such, you will find something for everyone here, and if you are looking for an island with a nightlife scene then head to Gaya. If you want an almost untouched paradise, then Sulug is a good spot, or you can take a boat and just island hop around, stopping at whichever island takes your fancy. As you would expect, popular activities here include swimming, diving, sunbathing, and hiking along the pretty island trails. 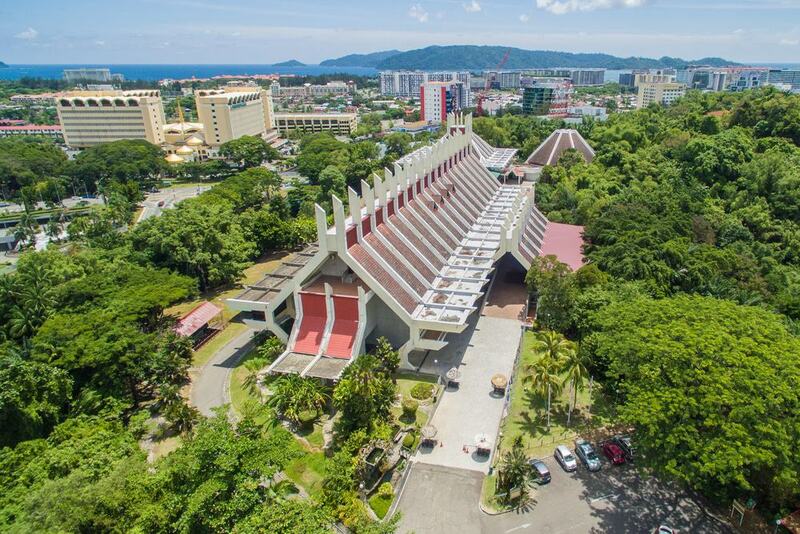 If you want to learn a little more about the history of Kota Kinabalu and Sabah generally, then make your way to the Sabah State Museum where you will find three floors of memorabilia. The name is actually something of a misnomer as this is actually a museum complex and you will find the Science and Technology Museum here as well as the Sabah Art Gallery and a small heritage village with models of local houses. As such, this is a good place to come on a rainy day, especially if you are traveling with children and are looking for an engaging collection of exhibits all in one place. 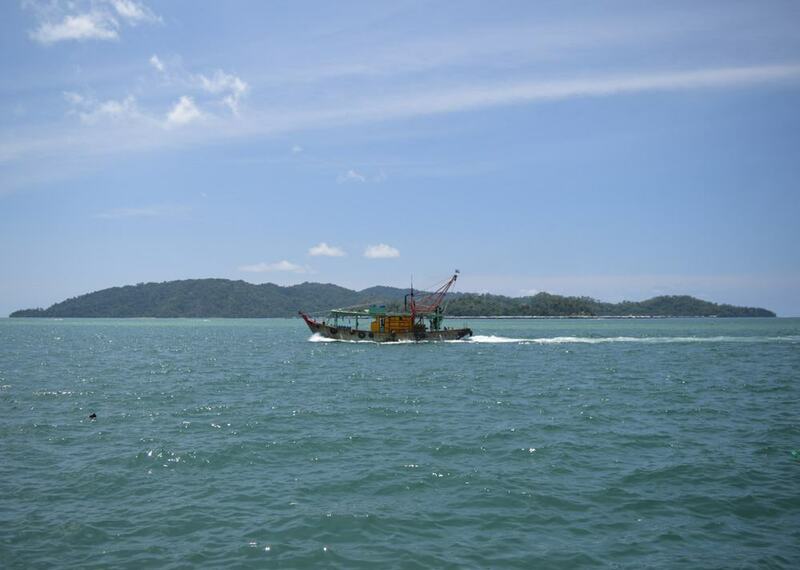 One of the great highlights of Kota Kinabalu is that you can easily try some deep sea fishing here. Just off the coast from the main city are a range of spots that let you try your luck at reeling in a whopper and popular locations just a boat ride away include the Mangalum and Mantanani Islands. You can charter a range of small boats to take you fishing, and another popular spot is a shipwreck off the coast of Gaya Island which is known for a plethora of aquatic life. Most boat trips last a full day and also come with meals provided. 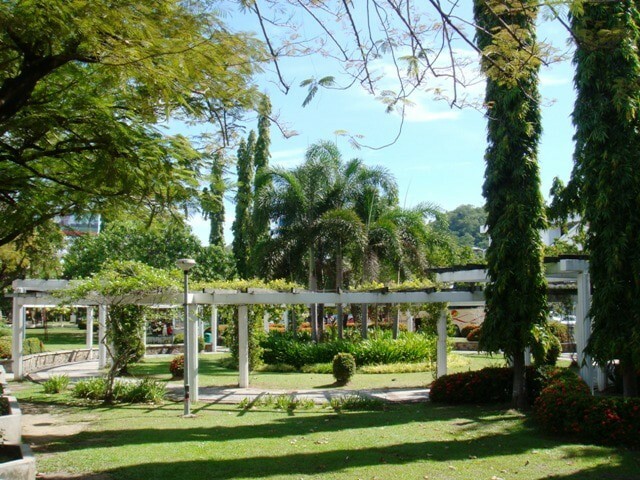 If you are spending time in the city center of Kota Kinabalu then one of the top spots to visit is the City Park. The park has the claim to fame of being the only green space in the center of the city, so if you are looking for a place to relax and unwind then this makes a great pick. One of the main features to look out for in the park is the British North Borneo Memorial which is dedicated to the soldiers who died here at the time of the British Empire during the First World War. The memorial dates from 1923 and is a little piece of important history in the center of Kota Kinabalu. Monsopiad Cultural Village is around 30 minutes outside of Kota Kinabalu and offers a glimpse of life in a traditional Kadazan village, one of the indigenous groups in Sabah. 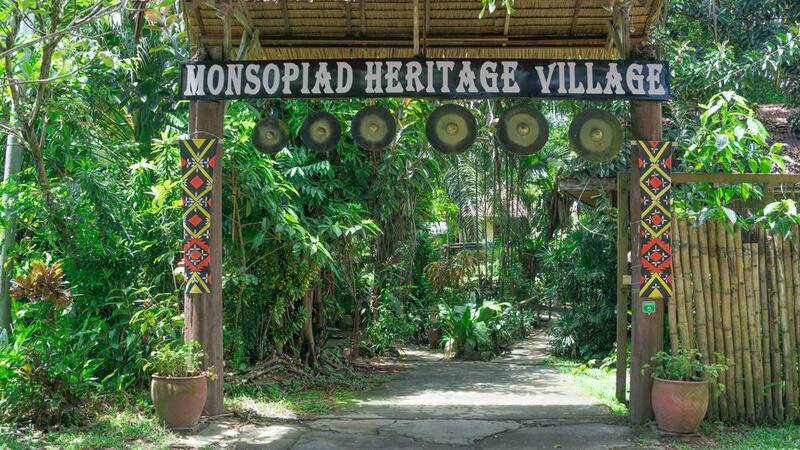 The village is dedicated to Monsopiad who was a famous Kadazan warrior who would have been alive some 300 years ago and legend has it that he killed some 42 attackers who were trying to invade the village. To that end, you can even view 42 skulls here which are located in a rather gruesomely named Hall of Skulls. 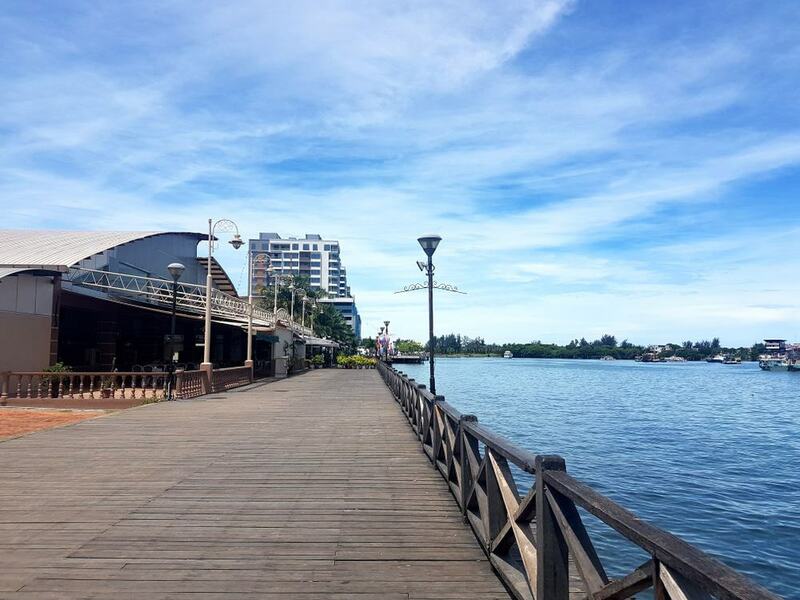 One of the great highlights of Kota Kinabalu is the lost strip of waterfront which is often just called the KK Waterfront. This is the place to come if you are looking for something of a nightlife scene in the city and the waterfront is dotted with bars and restaurants, many of which feature live music in the evenings. There are a few other parts of town such as Chinatown that also have a good bar scene, but one of the highlights of the waterfront is the chance to take in the sunset views over the water as you sip on a cocktail or a cold beer. 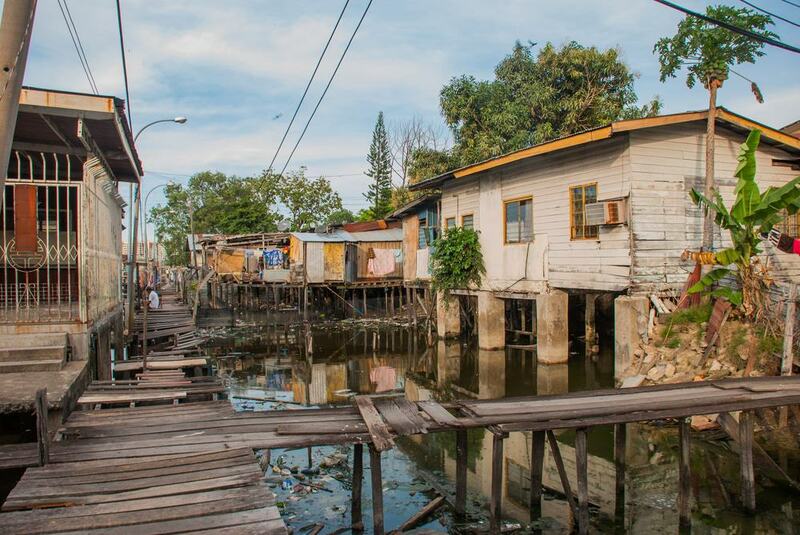 Kota Kinabalu is famous for its original stilt villages which are located off the coast and are the homes of ethnic groups such as Ubian, Suluk, Iranun, and Bajau. Some of these groups are said to have come to Sabah in the 15th century although many of these areas have now become known as a haven for illegal immigrants. Some of the villages include Kampung Tanjung, Kampung Pondo, and Kapung Sembulan, although not all of them are considered safe to visit. If you want to see these amazing structures, then it is best to go as part of an organized boat tour. 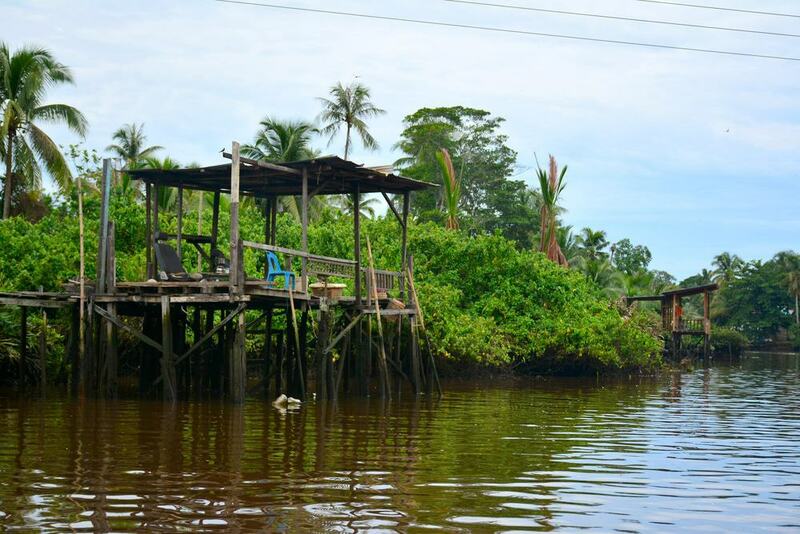 The wetlands located in the Klias Peninsula are one of the top spots in Sabah and you will find acres of mangrove swamps which are a haven for amazing wildlife. Some of the highlights here include proboscis monkeys as well as macaques, exotic birds, and lizards. You can also look out for tree snakes as well as water buffalo lazily grazing in the fields here and if you want to learn more about the flora and fauna of Sabah then this is not to be missed off the itinerary. The wetlands are around two hours away from Kota Kinabalu but are well worth the journey if you want to explore a more rural part of the region. 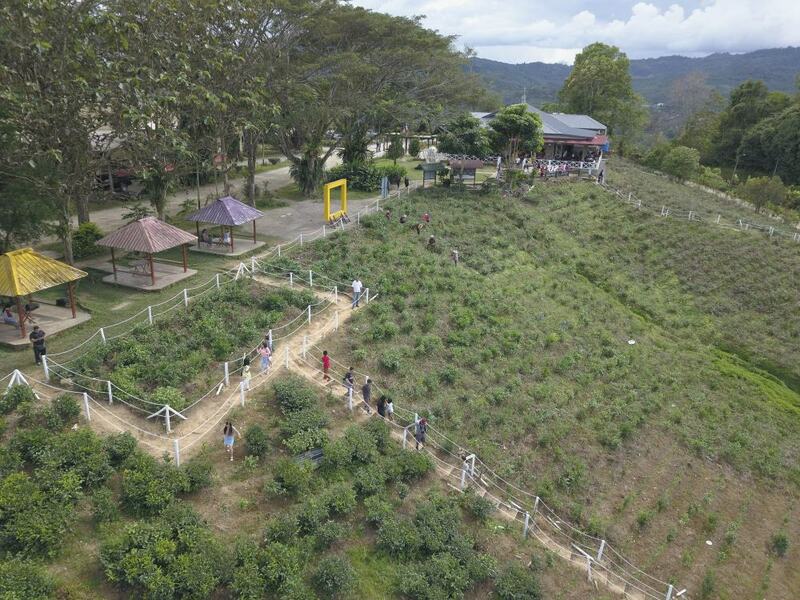 Located some two hours outside of Kota Kinabalu is the Sabah Tea Garden which is where you will find the delicious tea for which this region is famous. The tea garden encompasses a tea forest where you can learn how the amazing tea is made and you can also try some of the local blends and relax at the end of a tour with a soothing cup of the local brew. There is even a Sabah Tea Longhouse here and you can also take in the views of the mighty Mount Kinabalu in the distance. As Kota Kinabalu is next to the sea it stands to reason that seafood is one of the main attractions on menus all over the city. One of the best places to come to try some seafood is the waterfront which is covered in seafood restaurants and you can choose from large tanks that are filled with the latest catch and then decide how you would like it to be cooked. The seafood is usually sold by weight and you can enjoy your meal while also looking out over the water. 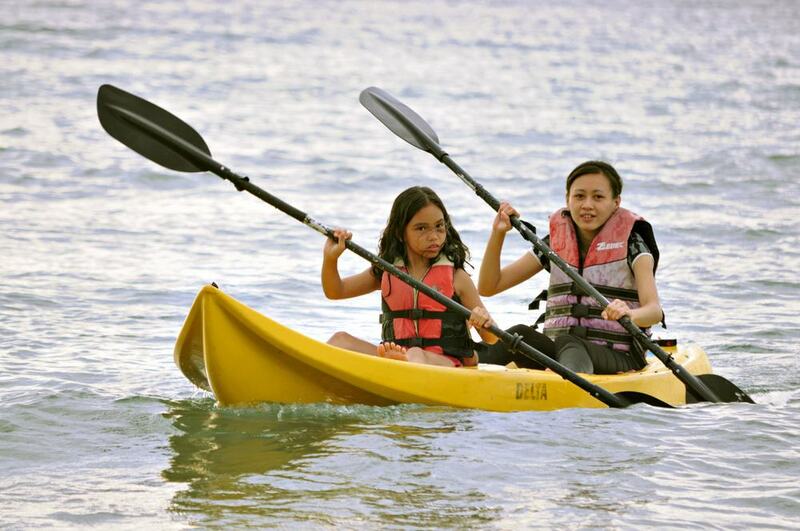 If you want to try out some water sports in Kota Kinabalu then one of the options is sea kayaking. Most of the sea kayaking operators are located at Tanjung Aru Beach and you can kayak out into the open sea to some of the idyllic islands just off the coast. Most tours then offer you the chance to swim and snorkel off the islands before kayaking back to the beach and if you are looking for a bit of an adventure then this is a great choice. If you want a day trip outside of Kota Kinabalu then consider a trip to Poring Hot Springs. 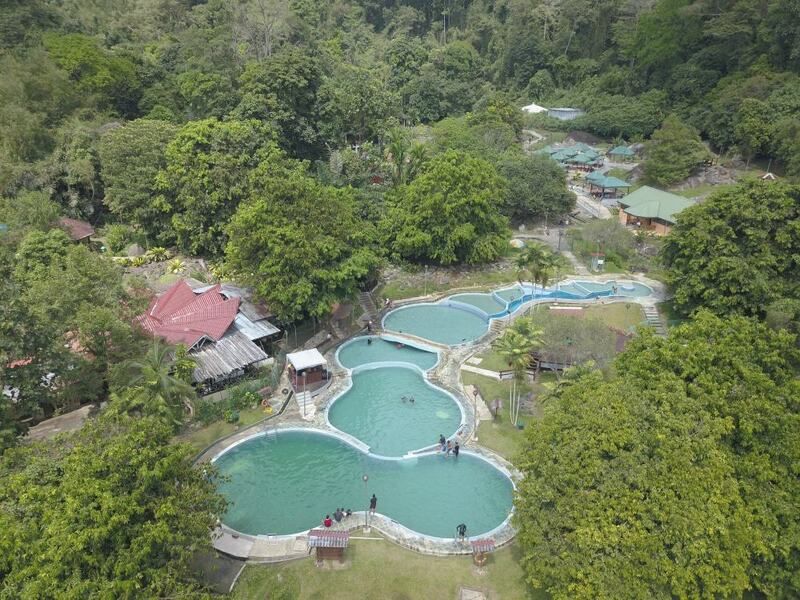 The springs are actually a selection of pools which date from the time of the Japanese occupation of Sabah during the Second World War, and the reason for their existence is due to the naturally hot water found in the region. The waters here contain a high sulfur content which is said to have medicinal properties and if you are suffering from aching muscles having spent your time trekking around Kota Kinabalu then this is a must-visit stop to relax and have a soak.